Eighty nine students in grades 7-12 at Elmwood-Murdock were named to the Quarter 1 honor roll list that was released this past week. They enjoyed a trip to Valentino's Grand Buffet as their reward for the hard work they put in. Junior High honor roll students must have a 86% or more in all classes. 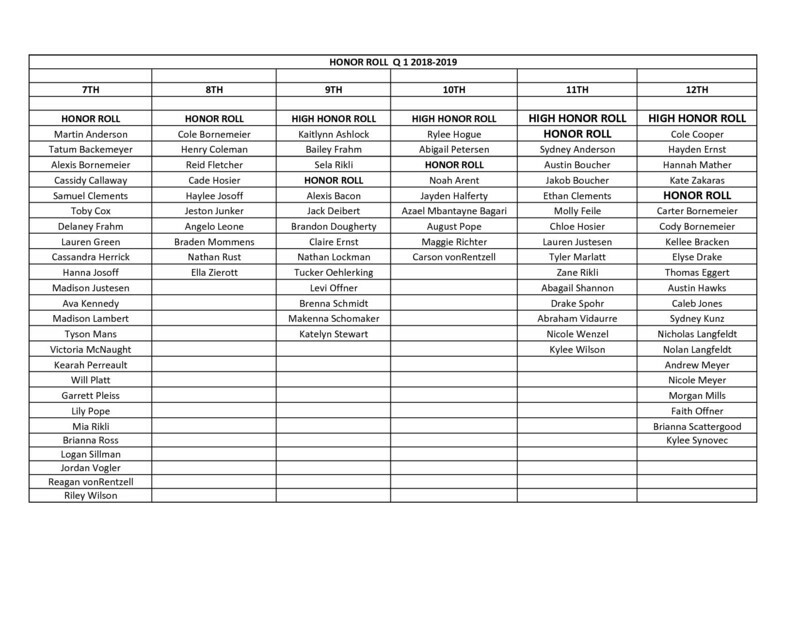 High School honor roll students must have all A's (94%-100%) to be listed on High Honor Roll or must have all A's (94%-100%) or B's (86%-93%) to be listed on Honor Roll. A complete list of students who made it for Q1 are listed below. Copyright © Elmwood-Murdock Public Schools 2017. All rights reserved.